Looking for a gift with a little more craftsmanship? Try one of these hand-crafted gifts from Etsy artisans all around the world. It’s that time of year again, where depending on your level of preparation, you’re either cool as a cucumber or in a white-hot panic: the home stretch before the holiday season. Are you stuck for a gift idea for a guy in your life? Don’t just get him another random Lord of the Rings Blu-ray box set hoping he doesn’t have it yet. Whether it’s your buddy, your boyfriend, your husband, your dad or any other guy you care about, you can find all manner of cool gift ideas in a place you might have never thought to look: Etsy. 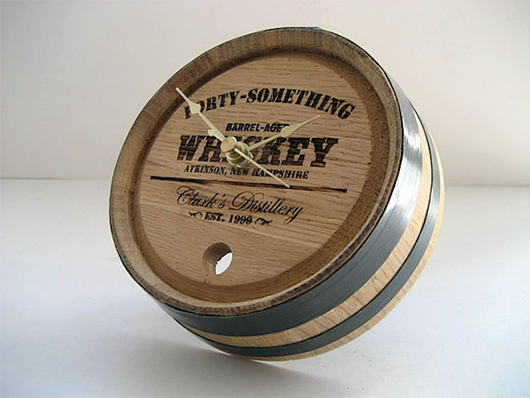 Personalized oak whisky barrel clock. $40. A great way to dress up a home bar or man cave is with one of these handcrafted American white oak whisky barrel clocks. Each is handmade and one of a kind, and can be personalized with your own whisky name, distillery name, distillery location and established year. Get creative with the engraving and create an attractive piece of art the recipient will enjoy for years. 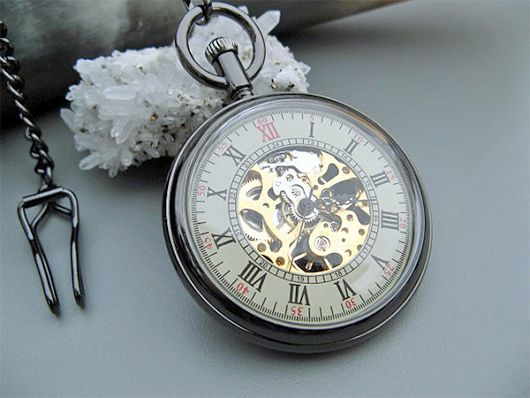 A pocket watch is something that almost every man secretly wants but will almost never buy themselves, which by definition makes it a perfect present. We like the vintage cream colored watch face and black Roman numerals highlighting this 1 ¾-inch diameter hand-wind pocket watch. It may not be an every day wear, but it’s perfect for those occasions where an extra touch of class or distinction is needed. Includes a 14.5-inch steel chain. Red Oak keepsake box. $50. 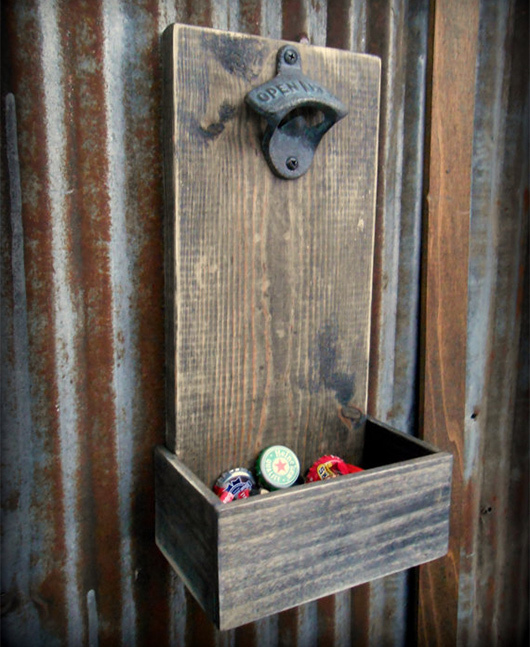 Every man needs a place to keep his little trinkets. And let’s face it: We all have little trinkets. Whether a watch or a pocketknife, spare change or cufflinks, a nice wooden valet makes a great gift for a guy whose accouterments are taking up too much space scattered on a dresser or nightstand. This simple hand crafted wooden box uses no fasteners, giving it a nice sleek look. It’s got a nice grain pattern that has been hand-treated with Danish Oil to make the details really pop. Designed by the AtelierPALL leather studio, this minimalist wallet features a svelte appearance without forcing you to sacrifice on space. It features three pockets with a double-snap enclosure, can hold 6-8 credit cards and cash. We love the handmade leather and hand-stitched tan thread on the borders. It’s got a subtle almost Indiana Jones vibe to it, and what guy doesn’t want to be Indiana Jones? Making your own spirits at home is seeing a big renaissance as amateur brewers around the world are experimenting with and bottling their own tipple. 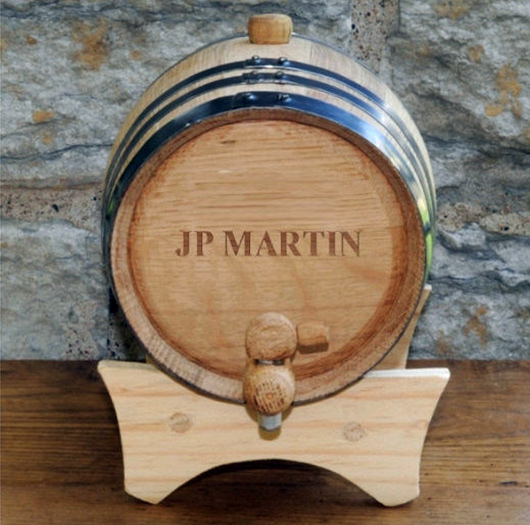 This fully-functional oak barrel will hold and age up to two liters of whisky and offers a variety of customization options. This full-sized 64-ounce beer growler can be laser-etched with pretty much whatever you can come up with. 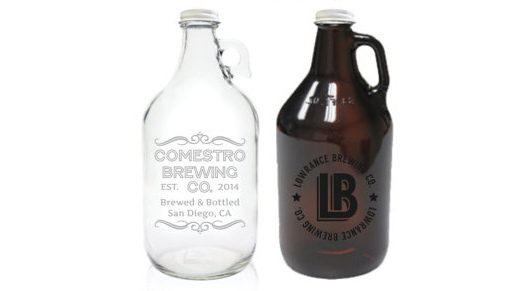 Available in clear or amber color, these growlers are a great gift idea for a home brewer who takes pride in his finished product and wants people drinking it to know where it come from. 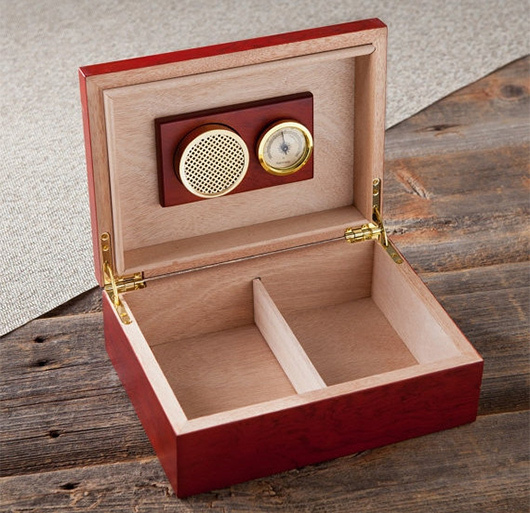 This handmade cherry hardwood humidor holds up to 12 regular sized stogies. The cedar wood lining naturally preserves the cigars’ moisture, and the attached brass plate can be custom engraved with up to 2 lines with up to 20 characters per line. 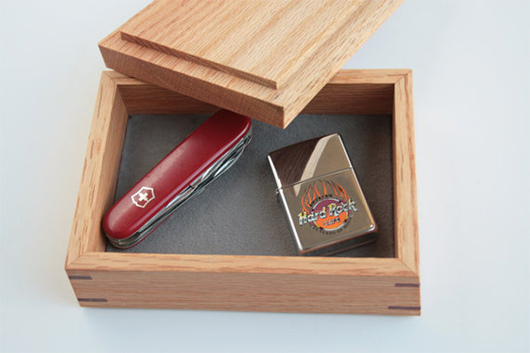 Humidor measures 9 1/4″ X 7 1/4″ X 3 3/4″. 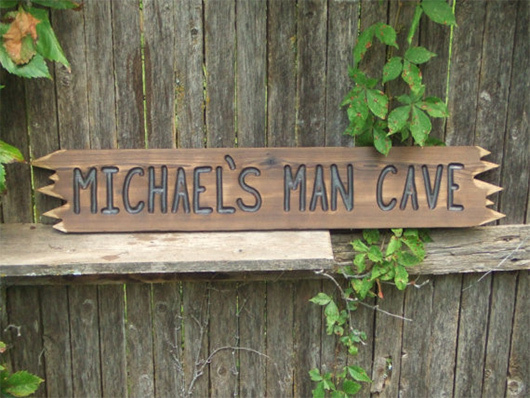 Wherever men congregate, one of these custom hand-carved signs will add an element of rustic charm. Handcrafted from salvaged western cedar wood, these signs are hand burnished to add a weathered quality, and include all hardware for hanging on doors or walls. Good for indoors and out. Check out a variety of customization options. For a great throwback, putting one of these near your home bar, either mounted on a wall or free standing, will bring you right back to a simpler time. A time when wall-mounted bottle openers were always within arm’s reach and bottle caps always fell neatly into the catcher below. Check out the variety of wood and metal options available. 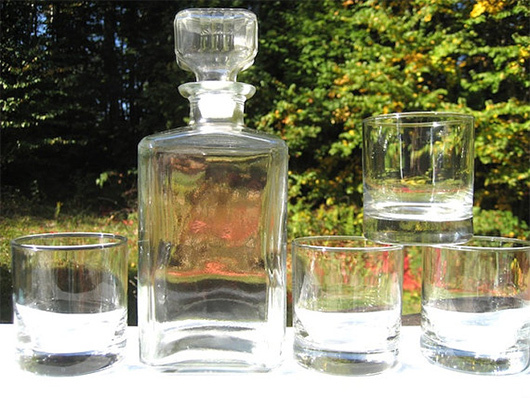 For the no-fuss whisky lover in your life who wants to class up his home bar, check out this glass set including a 1000ml whisky decanter and four rocks glasses. The decanter can be personalized with laser engraving. The set’s simple aesthetic is sure to please a man who enjoys his fine aged spirits without a lot of window dressing. 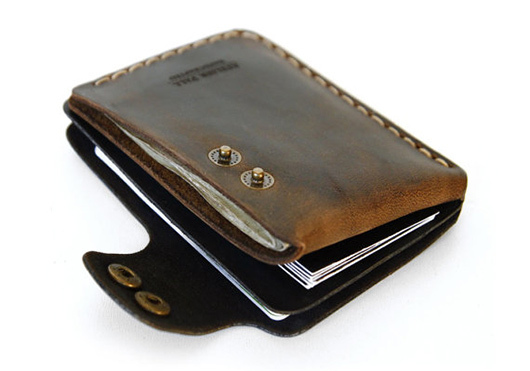 For the guy for whom a minimalist wallet isn’t quite minimalist enough, check out this handmade magnetic leather money clip. 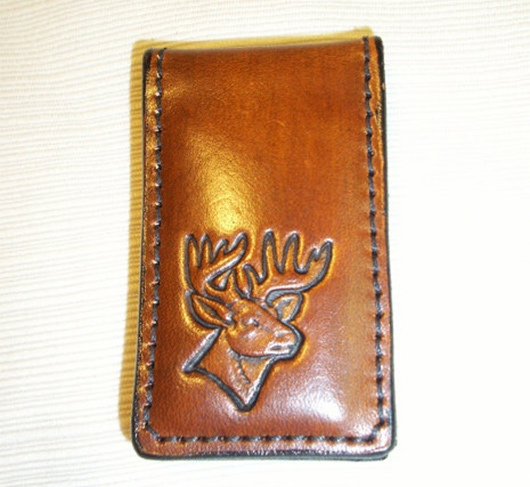 Available with a variety of stamped impressions. Let’s face it: When you’re writing an actual letter in this day and age, chances are it’s something important enough to warrant a wax stamp seal. 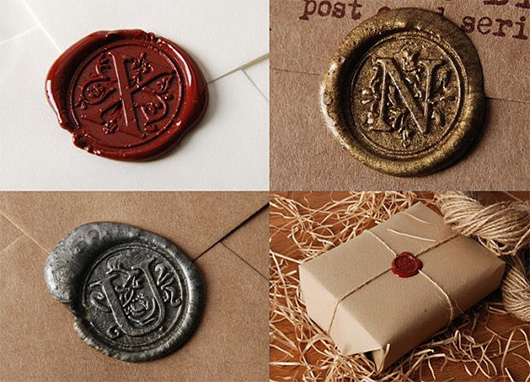 This kit includes a wood handled wax seal, a gold-plated copper sealing wax head with any letter you want, and comes with wax in a variety of colors. Add instant class to your next letter. For a bottle opener that really has some heft, these openers made from polished railroad spokes make a perfect stocking stuffer. Each has been cleaned with a wire brush and soaked in olive oil. Sure to be a conversation piece. These glass Christmas decorations are sure to bring a smile to any beer lover’s face. 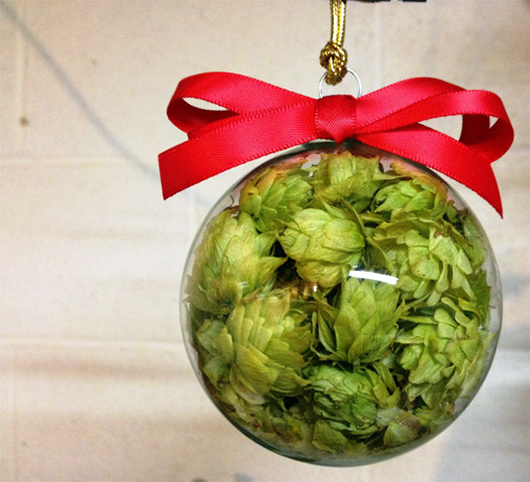 Each glass ball is packed with real dried Michigan hops and includes a ribbon bow in a color of your choice. It comes ready for hanging and can include a gold or silver strand. So there you have it, lest you think Etsy is nothing but a marketplace for custom Save the Date cards and frilly silk teddy bears. 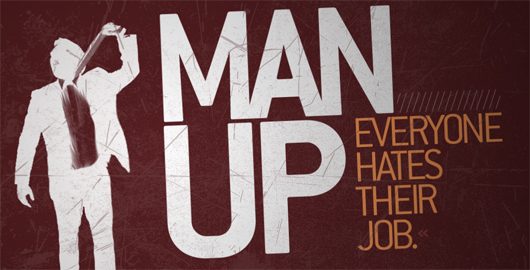 With a little digging, you can find a wide variety of unique, handmade gifts for any man, no matter what he’s into. This list is pretty unimpressive. I agree with Jim, this is a great list. 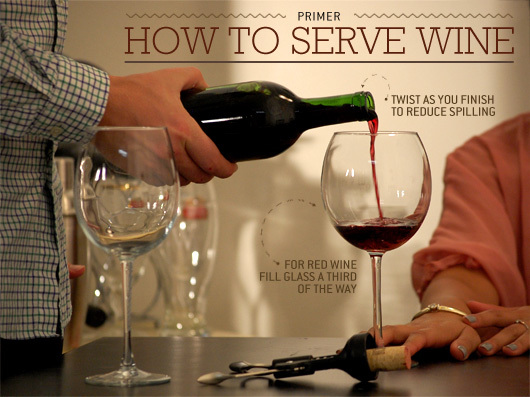 It’s always nice to get some clever ideas for stocking stuffers and other gifts. 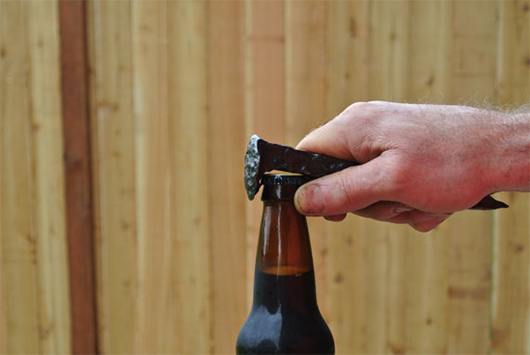 I really like the railroad spike bottle opener. How do you guys find these things! 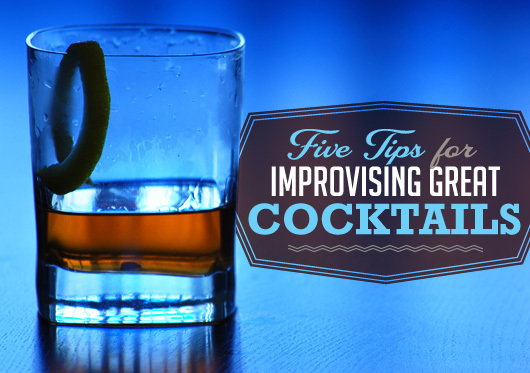 Ready to try your hand at inventing your own drinks? Just remember these handy rules of thumb.